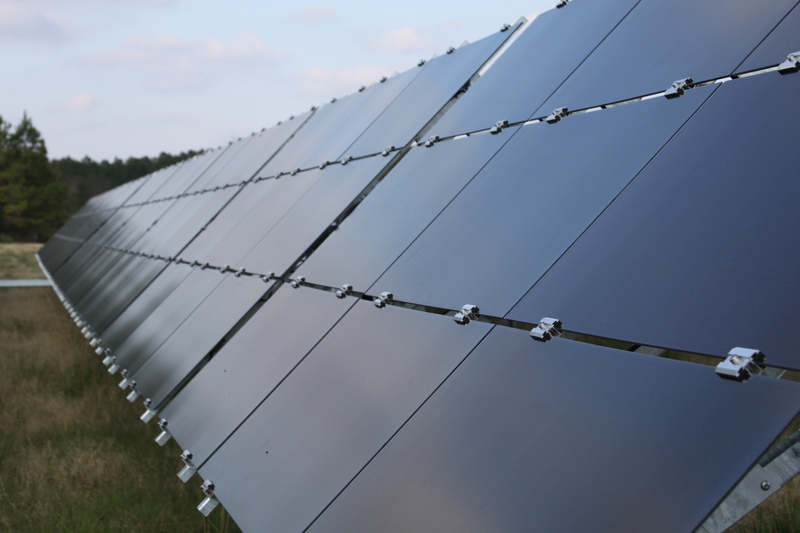 Silicon Ranch purchased a site in Houston, MS for construction of the largest commercial scale solar facility in the state of Mississippi with 3.9MW generating capacity. The facility secured power production agreements with Natchez Trace EPA and TVA for the purpose of supporting local industry and manufacturers with inexpensive, reliable alternative energy that will be priced 8.3 cents per Kwh lower than the current commercial/residential utility rates. Construction of this commercial scale solar generation facility and the resulting clean, renewable energy it produces has further enhanced economic development and prosperity to consumers in the region. According to Houston, MS (pop. 3,623) Mayor Stacey Parker, the project has increased visibility and industrial recruitment for the city and region (North Mississippi and Chickasaw County) and compliments TVA’s effort to provide competitive, low-cost, reliable electricity to the area’s industrial manufacturing customers. Chickasaw County is home to the third largest furniture manufacturer and one of the largest privately owned furniture companies in the United States. In northeast Mississippi, Chickasaw County ranks third in the state for manufacturing facilities. The construction phase created 35 jobs with over $2M in labor costs. In addition, all of the solar panels are purchased from Stion in Hattiesburg, MS, fostering economic and job creation support for one of the few manufacturers of solar equipment in the state. Economic: The financial impact of property taxes plus tax revenue from generation should create over $1 million of net impact to local governments over the life of the investment. Additionally, lower cost energy sold via PPAs at 8.3 cents/KwH less than current residential/commercial rates will save business and consumers in the area millions in energy costs. Jobs: This plant is highly automated and will result in 35 jobs created during the construction. More importantly, this adds to a Solar Value Chain in Mississippi as further evidenced by the purchase of Stion solar panels manufactured in Hattiesburg, MS, a state that has had minimal solar clean energy investment. Community: Houston High is a 14-time national champion solar car racing team. The CBA commitment outlined below will partially support this fantastic team as well. Workforce Development: Pursuant to commitments in the MuniStrategies Community Benefits Agreement, the project has pledged $20,000 a year in training support to Mississippi State University and Houston High School to further a Solar Value Chain of local renewable capacity in engineering, manufacturing, installation and operation of sites in Mississippi.